Is A Ferret The Right Pet For You? Although ferrets may not be your first choice as pets, they are loving and very affectionate animals. 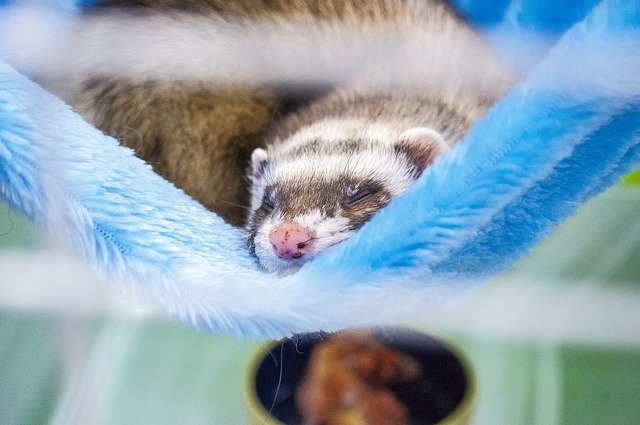 So, if you’ve decided to adopt one and want to make sure it’s suitable for you and your family, don’t go off and buy a large ferret cage just yet without considering these aspects beforehand. As cute as these animals may seem, it would be best to check with the local authorities before adopting or buying one as they are illegal in some places. 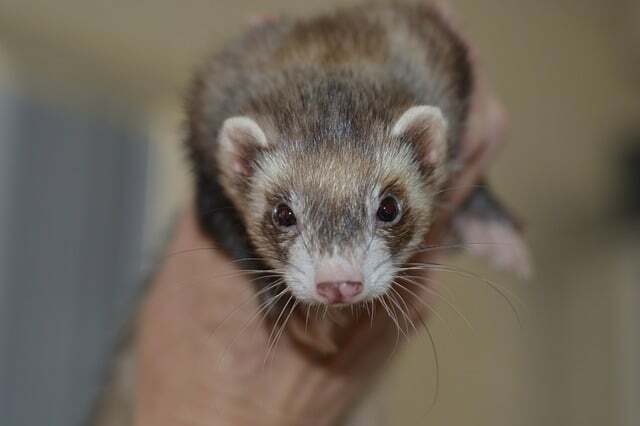 Citizens of New York City, California or Hawaii are forbidden to own ferrets as pets so, even though veterinarians will still treat them if sick, ferrets may get you in trouble with the law. Although not exactly rodents, the ferrets’ behavior is quite similar to that of rodents. In other words, they enjoy burrowing, chewing on things, and digging, especially when they are young. They often steal things and hide them in “secret places”, so you shouldn’t be surprised if you come across random items hidden under your bed or in your bathroom. And, since a house is full of hazards, we suggest you ferret-proof it before you welcome your latest pet. Electrical cords and power outlets are especially dangerous for your pet, so try to cover them up. Contrary to the opinion that small animals are usually low-maintenance, ferrets will require your full attention when they’re awake. They are extremely loving and affectionate once they let their guard down, but this also means that they expect reciprocity. Thus, we don’t recommend adopting a ferret pet unless you have plenty of spare time to spend with it as it loves cuddling and playing. Another aspect you should consider before adopting a ferret is that they need plenty of room to run, play, and exercise. 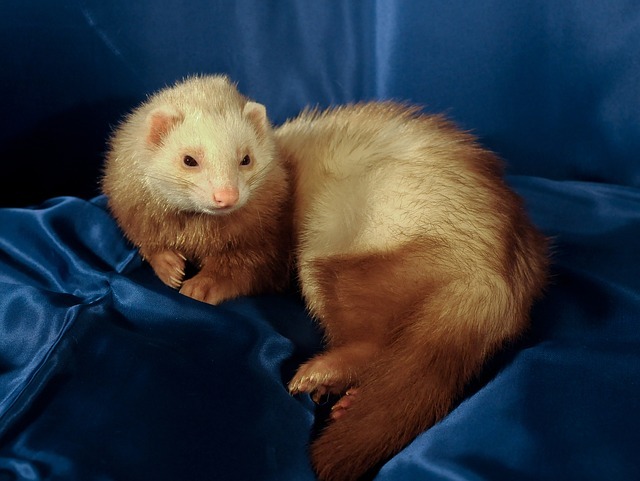 In the short time left when they’re not sleeping or napping, ferrets enjoy running, spinning, skidding, and tumbling. Young ferrets have even more energy, so they’ll love chasing toys and creating chaos in your house. They shouldn’t be kept in cages for more than a few hours a day if you want them to live a long, happy, and active life. On the other side, since they have lots of energy, ferrets will love playing hide and seek in the entire house if you let them. A direct consequence of keeping your ferret inside a cage for too long is overeating. These animals get bored easily and require constant sources of entertainment. If they cannot be provided that, they will resort to eating too much and, thus, become overweight and even obese. It is exactly why you need to let your ferret wander freely around the house or at least in some rooms. You can install running wheels in their cages or make them get used to exercising balls, but these methods are not enough to keep your pet fit and healthy in the long term. Most of the times, ferrets require company to live a long and happy existence. They will seek the affection of their human friends but will also want a playing partner, often enough in the form of another ferret. Thus, many ferret owners will end up housing at least one pair. However, this doesn’t mean that they cannot get along with other pets too. On the contrary, these mischievous little creatures may end up developing a unique bond with cats and dogs, so there is no reason for you to worry. On the other hand, ferrets may not be the best companions for toddlers or small children as they are quite naughty and don’t obey rules. Moreover, ferrets do have the tendency of scratching, so you should probably wait until your kids are older if you want to adopt a ferret pet. Ferrets are legal pets as long as they are vaccinated. Rabies and the common canine distemper virus represent the main concerns when it comes to the health of a ferret. Therefore, just like puppies, these pets must be vaccinated against the canine distemper virus when they turn two months old and should have their first rabies shot by the time they turn four months old. After this age, they should get an annual booster, provided they live indoors and are in contact with other pets. 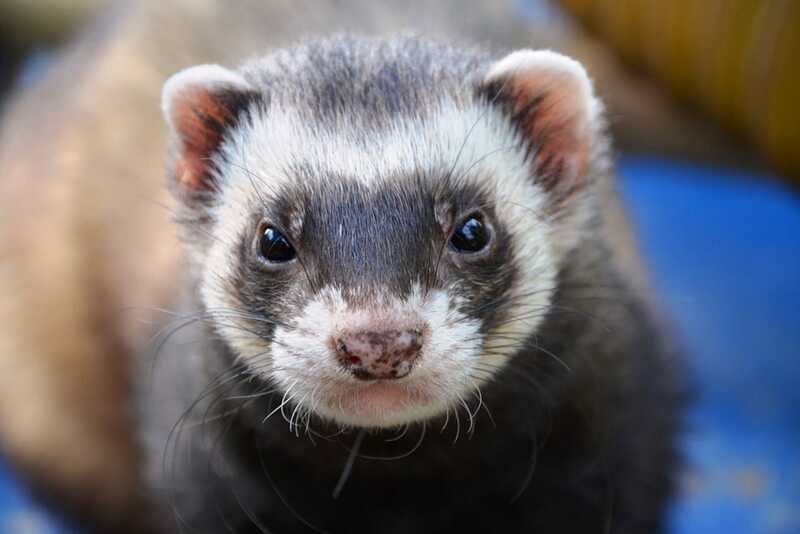 Unless you plan on raising a full dynasty of ferrets, these pets should be spayed or neutered as soon as they reach adulthood or else they risk various health issues. Male ferrets who haven’t been spayed tend to be more aggressive, especially if there are other animals living in the house. Not to mention they leave an unpleasant odor that is hard to mask. On the other hand, females can even die if they don’t breed or aren’t spayed. For these reasons, it’s almost impossible to buy ferrets in the United States that haven’t been neutered first. Unless you’re fully committed to caring after a ferret for its entire life, we don’t suggest adopting one as a pet. Unlike other small animals that usually don’t live more than a few years, a healthy ferret without any chronic conditions or diseases may end up living up to 11-12 years, which is close to the lifespan of a dog. Therefore, consider if you’re willing to properly look after them and their needs in the long term. As we previously mentioned, they may be small but ferrets are needy, so don’t adopt, rescue or buy one unless you’re completely sure. Most vets specialize in treating cats and dogs, leaving other exotic animals to little care. Therefore, before adopting a ferret pet, make sure you have a nearby vet willing to look after your precious animal if it gets sick or needs medical care.